Kaspersky Lab is the world's largest privately held cybersecurity company with over 400 million users around the globe. We believe that everyone – from home computer users and small companies to large corporations and governments – has the right to be free from cybersecurity fears. We have therefore made it our mission to provide the world’s most effective, responsive and efficient protection against cyberthreats. * Available for PCs only. ** Available for PCs and Mac computers only. Did you know stolen Twitter passwords are worth more to cybercriminals than credit card details? This is because social media accounts are often used as an entry point to other accounts, such as email and banking. People don’t usually think about password security and use the same username and password on several different sites, which can give cybercriminals easy access to other important accounts. Strong, unique passwords hugely importance when it comes to digital security. Are yours up to the job? It’s important that we look after our passwords. We need multiple passwords to access our social media accounts, email, or mobile phones, so that we don’t provide cybercriminals with an open door into our digital lives. What is the difference between my password and my username? Your password and your username are not the same thing. Your username identifies you to your device, while your password gives you access. It’s particularly important to keep your usernames and passwords secure when using public devices. How to choose a secure password A perfect password is at least eight characters long and consists of a mixture of letters, numbers and symbols. Don’t use real words, even from a foreign language or written backwards, as there are tools on the Internet that can crack these in seconds. Don't choose an obvious password such as your name or date of birth. The most common passwords are ‘qwerty’, ‘123456’, a users’ first name, the F-word and ‘Password’. It’s best to use a passphrase made up of a series of words or symbols, such as ‘Iliveat10HighStreet’. Try something silly but fun: ‘HFUNEX?NoIFN10EX’ (‘Have you any eggs? No, I haven’t any eggs'). Try testing the strength of different passwords with Kaspersky’s Password Checker. Most of us find it problematic to remember multiple complex passwords, which is why password managers are invaluable. 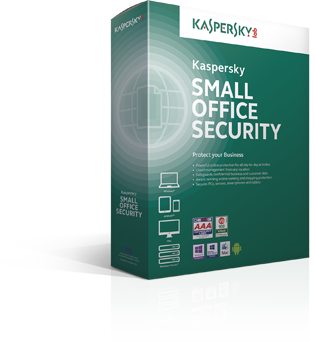 Kaspersky Password Manager is available as a standalone product, or as part of Kaspersky Total Security. It delivers the highest levels of protection for your PC, Mac and Android devices. With Kaspersky Password Manager you only need to remember one master password, as the software will input the relevant passwords when you need it. Plus the password generator can automatically create strong passwords whenever you need them. We all forget our passwords or PIN numbers from time to time. Many services will send an email to a nominated recovery email address - so ensure that this address is still active and, secondly, that you can still access it. Sometimes re-set messages can be sent to a mobile phone. For more sensitive accounts you may be asked a security question, the answer to which you provided when you originally opened the account. Make sure this answer is something only you would know. Many organisations have now introduced two factor authentication (2FA). 2FA adds a second step before you can access your account, such as a small device that generates a one-time code. If 2FA is available, it’s always wise to use it as it provides an added layer of security and makes a password on its own useless to cybercriminals. Is your child safe from cyber bullying? What is cyberbullying? Cyberbullying is bullying using digital technology. The abuse can be via email, social networks, forums, instant messaging or online gaming platforms, with the aim to threaten, tease, humiliate or offend. Cyberbullying can follow a victim and can happen any time and any place. According to The Cybersmile Foundation, more than 40% of all UK high school children have been bullied online and one in four have suffered repeated incidents. Parents need to be proactive if they are to protect their kids from psychological traumas due to cyberbullying. Reviewing privacy settings in social networks allows adults to help children control who can see posts and write messages. 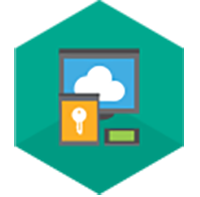 Making full use of parental controls in software applications and security solutions can provide strong protection. 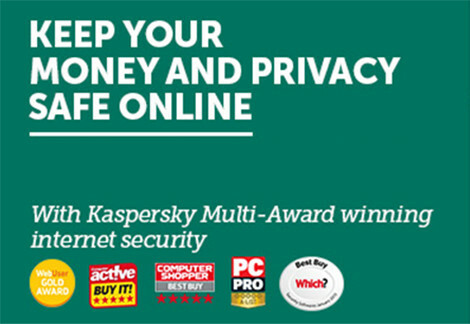 Internet security software such as Kaspersky Total Security – Multi-Device includes award winning Parental Control features. Don’t post anything you wouldn’t want parents, teachers or friends to see. And if you wouldn’t say it to someone’s face, don’t say it online either. Be careful about who you ‘friend’ online. Use hard-to-guess passwords to prevent someone from hacking into your online profiles to steal information or images. Follow your child on their social networks. If they really can’t bear this, agree on a trusted adult who can watch out for them on social networks. Is your teenager safe on online? Today’s teenagers are the first generation to go through their entire teen years digitally connected. They have been brought up in a time very different from that of their parents. Most teens will study using the internet, interact with each other online and use apps to improve their day-to-day activities. However tech savvy screenagers appear to be, they aren’t automatically knowledgeable when it comes to online safety. Parents may find themselves in the difficult position of asking their kids to solve computer problems, while being responsible for setting boundaries and keeping them safe online. What are the dangers of the Internet? Some people will happily share very personal information about themselves online with no real thought for the consequences. Not everyone on the Internet will use this information for good, so it’s important to make your teenager aware of the dangers. Bear in mind, anything your teen shares online today could have lasting consequences and may impact their future career prospects. Grooming is when someone acts in such a way as to gain a child’s trust for the purposes of sexual abuse or exploitation. Your teen should only accept friend requests from people they know in real life and shouldn’t trust new friends purely on the basis of their photograph. Kaspersky's award-winning Parental Control features can help you defend children and teens against sexual predators, block inappropriate content, prevent app store purchases, control access to games and social networking websites and prevent disclosure of personal information. Examples of inappropriate content include: pro-anorexia and pro-bulimia sites; pro-suicide sites; pro-terrorism sites and pornographic sites. Block sites that you don’t want your teen to visit, and make sure you have family-friendly filters in place to ensure access to certain inappropriate material is reduced. Age restriction filters also work well. You can install controls, such as web filtering and activity reporting to ensure you are aware of what your teenager is viewing. Kaspersky Safe Kids, a free new multi-platform service, protects children from inappropriate web content, potentially dangerous apps and other threats on Mac OS X, Windows, Android and iOS devices. Massively Multiplayer Online Role Playing Games, like World of Warcraft, invite gamers into an alternative world, working with, or against, other online players. Smartphones and other gadgets now make playing games possible anytime and anyplace. Make sure your teen knows they must never meet a stranger from the gaming world in person, and remind them to never use a webcam. Good password practice is one of the most important things to teach your teen. They are likely to have numerous online accounts and it’s vital they use strong and unique passwords for all of them. This is especially important if the account holds credit card information. If one account is compromised and the same password is used everywhere, then all the accounts are effectively compromised. Phishing scams are used by cybercriminals to lure victims into handing over valuable information such as passwords and login details, which can be used to commit fraud. Traditionally phishing scams are carried out via email, but increasingly they are appearing on social networks and forums. Malware (malicious software such as viruses and Trojans) is often hidden in attachments and free downloads. It can log your child’s keystrokes to steal their passwords and access their online accounts. If an unfamiliar pop-up appears on their screen and asks for personal information, make sure your teen knows to close it down. Teach your teen to be choosy and to think before downloading files or programs. Do they trust the source and does the site look genuine? 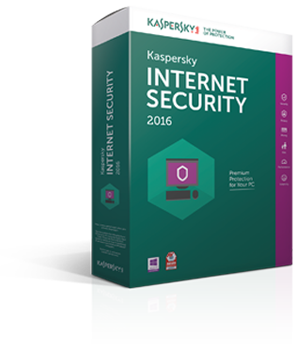 Install Internet security software, such as Kaspersky Total Security – Multi-Device. Public WiFi is still a relatively new phenomenon: many of us are so excited to be able to get a good Internet connection for free while out and about that we don’t stop to consider the risks. The truth is, using an unsecured network to do anything more than browsing the web is generally a bad idea. Not all free public WiFi connections are legitimate. Cybercriminals can create fake WiFi connections in order to steal users’ digital information. Other times, a cybercriminal can exploit a vulnerability in a legitimate WiFi network and eavesdrop on the information you send. Both scenarios are known as man-in-the-middle (MITM) attacks. It can be difficult to spot a fake or compromised network, which is why it’s always safest to avoid using public WiFi, or at least only use it for web browsing. One of the safest ways to go online in public places is by using Virtual Private Networks (VPNs). These create secure personal access for each user and ensure that all your online activity stays private. All you need to do is download the software on your device. Remember, connecting to an unknown network is unsafe. If you access an unencrypted WiFi service, a cybercriminal will be able to see everything you do, which could lead to identity fraud. Creating a fake public hotspot is easy, so don't do anything confidential when using one, unless you are using a VPN you know and trust. Install Internet security that can help protect you against malware and other online threats. 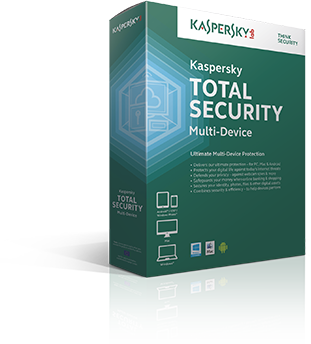 Kaspersky Total Security - Multi-Device delivers the highest levels of protection for your PCs and Macs, as well as your mobile devices. Set your devices to always ask before joining any wireless network. Do not leave Bluetooth on in unfamiliar environments, as you are leaving your gadgets vulnerable to those seeking to exploit an open connection. Always log out of online accounts. Most importantly log off from online shopping or banking sessions when you have finished – especially if you share a computer with someone else. Activate your gadget’s lock screen when you are not using it. Always use a strong password or PIN code.